The Flint water crisis was perhaps the most high-profile example of the social inequalities tied to environmental issues. But it is hardly the first. There is ample evidence that hazardous waste facilities, Superfund sites, sources of toxic air and water pollution, and other environmental nuisances are more likely to be located in poor and minority communities, and that these communities face disproportionate health risks as a result. After 20 years of federal polices failing to adequately address these types of issues, the EPA under President Obama was beginning to make progress on environmental justice. Now following the election of President Trump and the appointment of Scott Pruitt to head the EPA, these positive developments are at risk of being reversed. It was in 1994 that President Clinton issued an executive order in that directed the EPA and other federal agencies to integrate environmental justice considerations into their policies, programs and decision-making. Despite this presidential directive, the EPA was slow to act to take on this issue and the executive order became little more than symbolic policy. I edited a book in 2015 called “Failed Promises,” which brought together a team of social scientists to evaluate federal environmental justice policy. My colleagues and I found the federal government has largely fallen short of its commitments to address the disproportionate environmental burdens on low-income and minority communities. 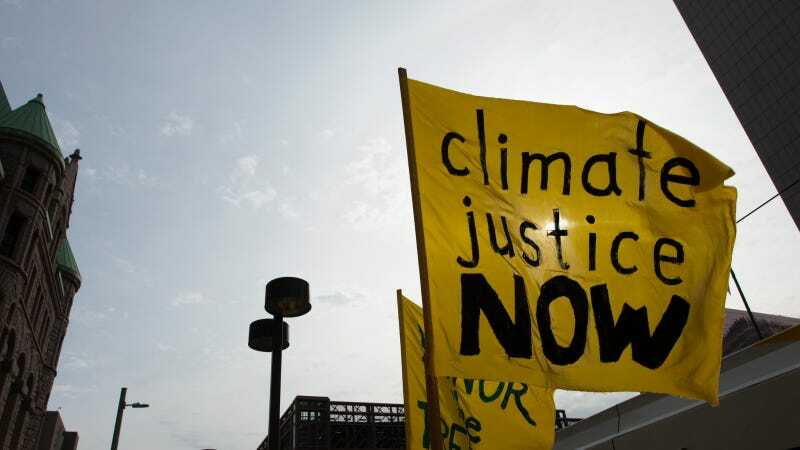 In 2011, the EPA released its Plan EJ 2014, which was followed a few years later by EJ 2020 Action Agenda, a 5-year strategic plan for advancing environmental justice. The record was not perfect. The EPA’s Civil Rights Office did not resolve its historical mismanagement of Title VI claims which are made by communities when they believe recipients of federal monies are violating their civil rights (e.g., a state agency issuing a permit for a new power plant in already overburdened minority neighborhood). And the agency failed to effectively intervene as the lead contamination crisis unfolded in Flint, Michigan. Nevertheless, a fair assessment is that the agency had started to turn the corner on environmental justice. Since taking the reins at the EPA, Scott Pruitt has focused most of his attention on reaching out to manufacturing, agriculture, mining and other industries affected by EPA regulation, as well as starting the rollback of high-profile regulations, such as the Clean Power Plan and the Waters of the United States rule. The proposed budget, if enacted by Congress, will affect the EPA’s environmental justice agenda in other ways as well. The Trump administration’s plans to scale back enforcement efforts by cutting resources and personnel are particularly important. Because major sources of pollution, such as power plants and oil refineries, tend to be located in poor and minority areas, any changes that result in more lax enforcement of environmental rules will disproportionately affect these communities. Moreover, despite Scott Pruitt’s insistence that state governments will pick up the slack, there is reason to doubt this happening given states’ own budgetary pressures. At the same time, the Trump budget proposes cuts to the EPA’s grant programs to states, which will, in turn, weaken their enforcement capabilities to monitor pollution, carry out inspections or build legal cases against companies violating environmental laws. And, of course, if the EPA rolls back existing regulations that target large sources of pollution, it is communities of color and low-income that are likely to fare worse. Regulations designed to improve air quality, water quality and the disposal of hazardous substances often benefit these communities the most, given they tend to live in closer proximity to such pollution risks. Policy retrenchment at the EPA will affect all of us, as well as future generations, but it is the poor and minorities who stand to lose the most.